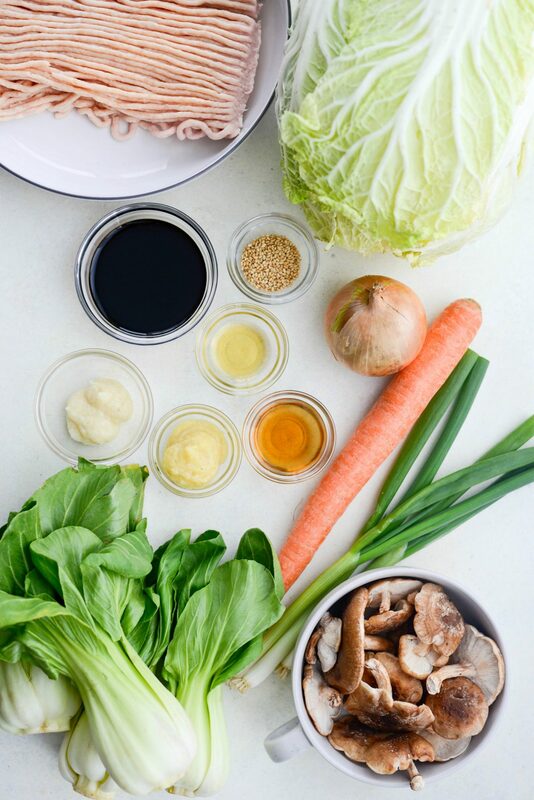 In this Chicken Egg Roll Bowl, ground chicken is cooked and tossed with napa cabbage, bok choy, shiitake mushrooms and carrots in a light ginger garlic sauce. I love getting Chinese take out mainly for the bonus egg rolls. I’m the only person in my house that will eat them, so the wax paper bag of 4 all go to moi. Sure, I love that crispy outer wrap, but the filling is equally just as good. Especially when drizzled with sweet and sour sauce. YUM. 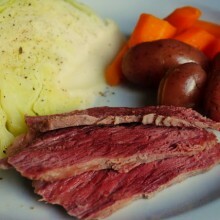 Which leads me to this recipe. Enter the egg roll bowl. This isn’t a new concept, but this chicken egg roll bowl was indeed inspired by the delicious filling of my beloved egg rolls. 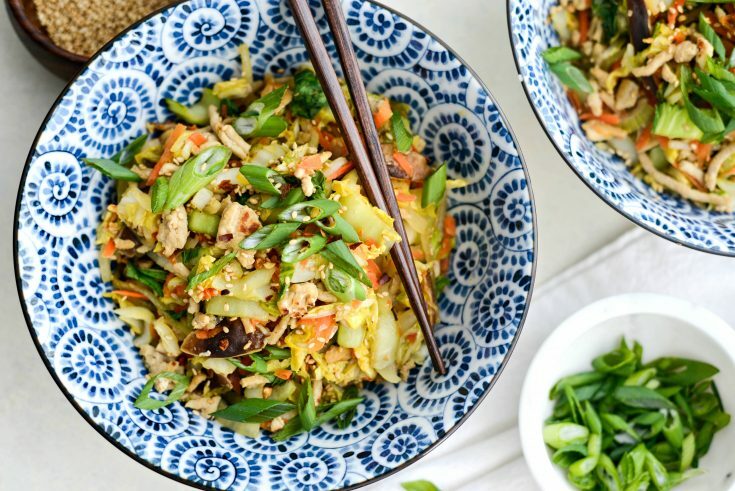 This dish is light and healthy and literally smells and tastes like an egg roll. Minus that delicious deep fried egg roll wrapper of course. 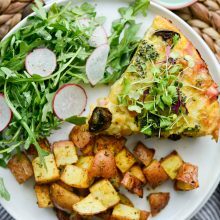 I did add ground chicken for some protein, and the whole thing cooks up in minutes, making this recipe perfect for any night of the week. 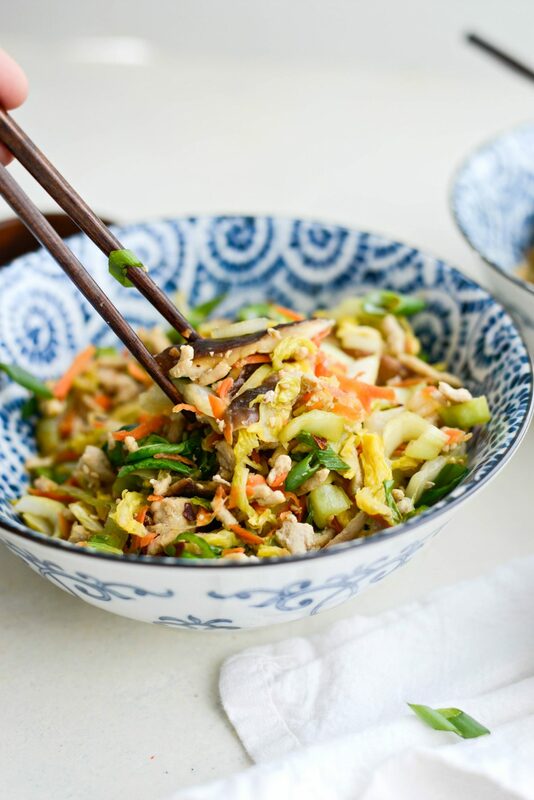 In it ground chicken is quickly cooked in a large wok and tossed with cabbage, baby bok choy, shredded carrot and sliced shiitake mushrooms. But the real magic is in the light ginger garlic sauce. First gather your ingredients. 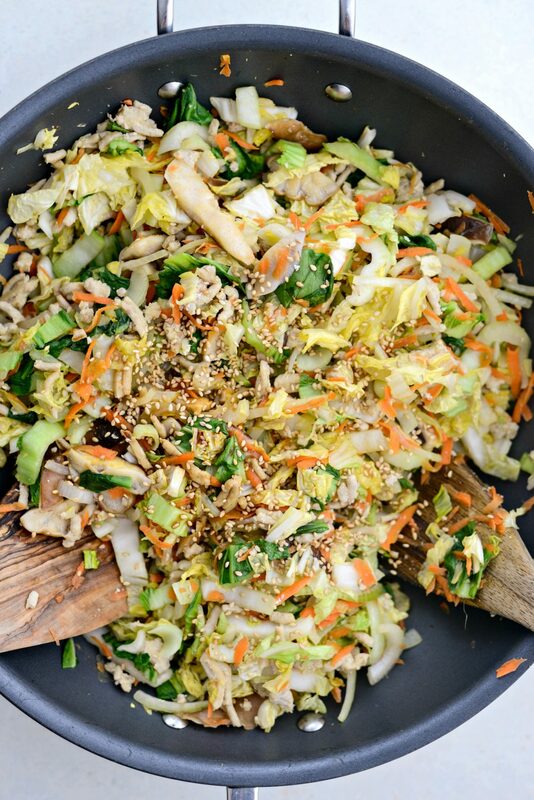 You will need; olive oil spray, 1 pound ground chicken, 1 head napa cabbage, 4 baby bok choy, 1 carrot, 1 small onion, 4 ounces shiitake mushrooms, 1/4 cup low-sodium Tamari, 1 tablespoon shaoxing wine, 1 teaspoon toasted sesame oil, 2 teaspoons toasted sesame seeds, 3 green onions, and red pepper flakes or sambal oelek, for serving. 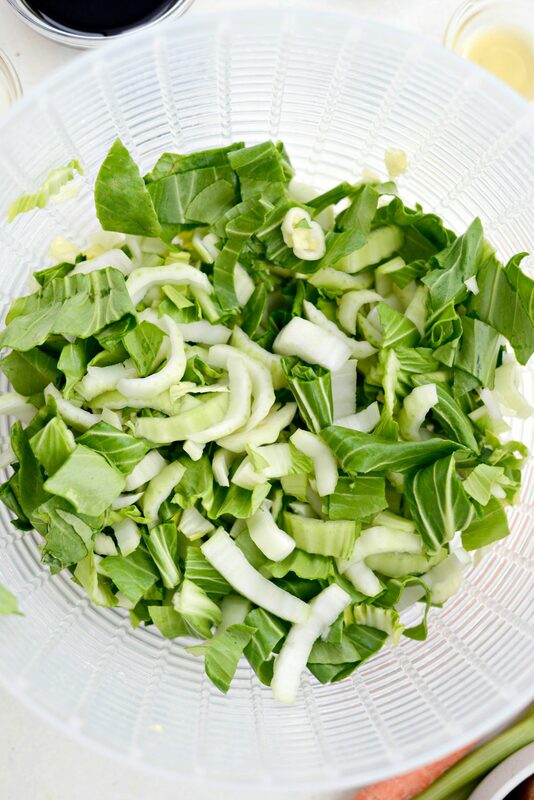 Slice, rinse and towel or spin-dry the cabbage and baby bok choy. 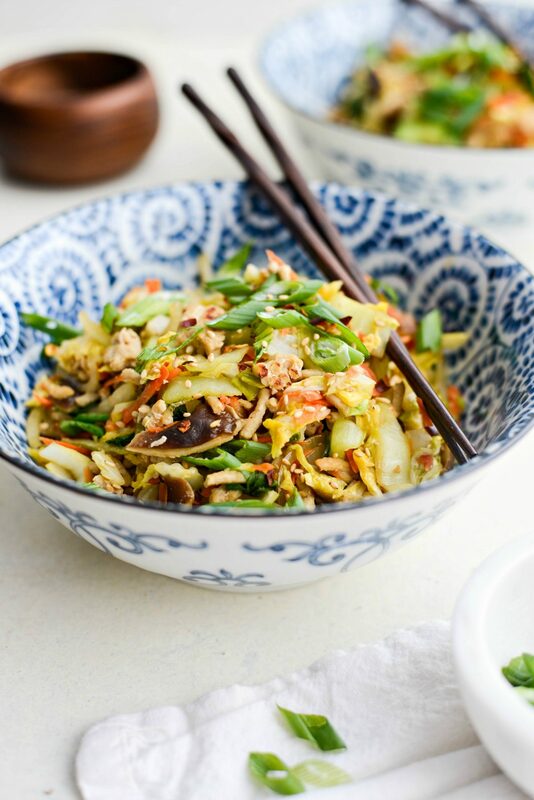 The first time I tested this recipe out, I used napa cabbage and purple cabbage. Which in theory works, but the blueish color eventually stained everything around it. No bueno. So I swapped it for baby bok choy. Next grate one large carrot and thinly slice an onion. Then lightly brush any dirt off of the mushrooms, remove the stems and slice the shiitake caps. Next, spray a large wok or chefs pan with olive oil spray and preheat on high. 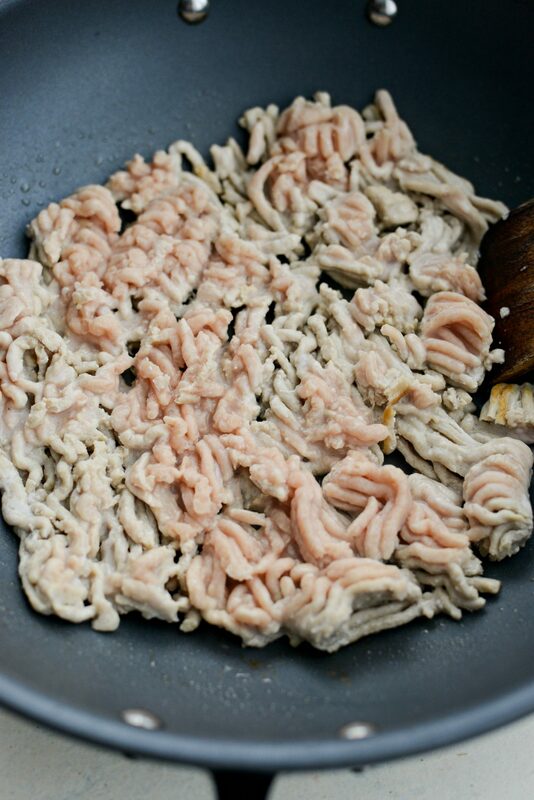 Once hot, add in the ground chicken and use a wooden spatula to break it up into small crumbles. Cook the chicken until no longer pink and is golden browned in spots. Then add in the garlic and ginger, stir and cook for 1 minute. 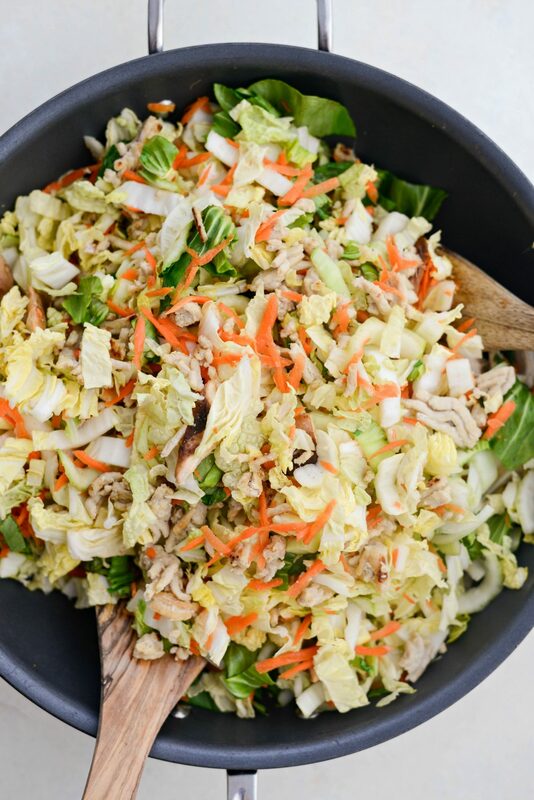 Then, add in the sliced cabbage, bok choy, shredded carrot, sliced yellow onion and mushrooms and gently toss with the ground chicken to combine. 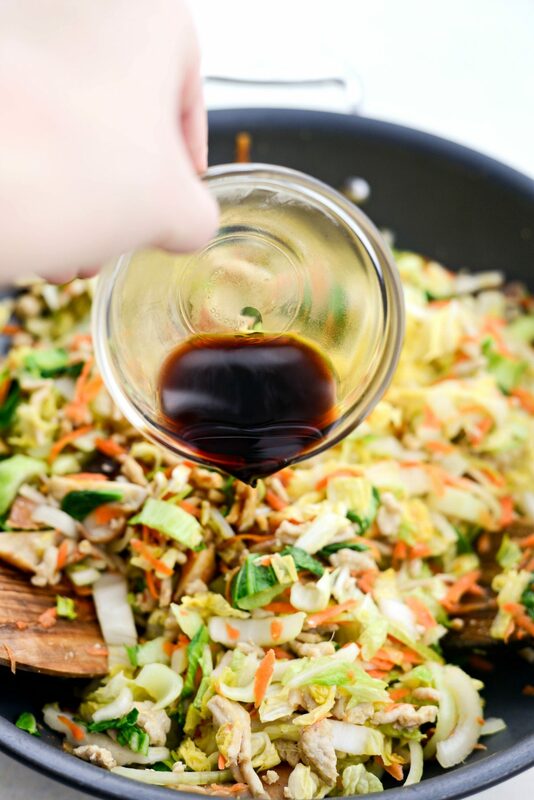 Next, immediately pour in the tamari, rice wine, toasted sesame oil and keep tossing to combine and until the cabbage and bok choy start to wilt. 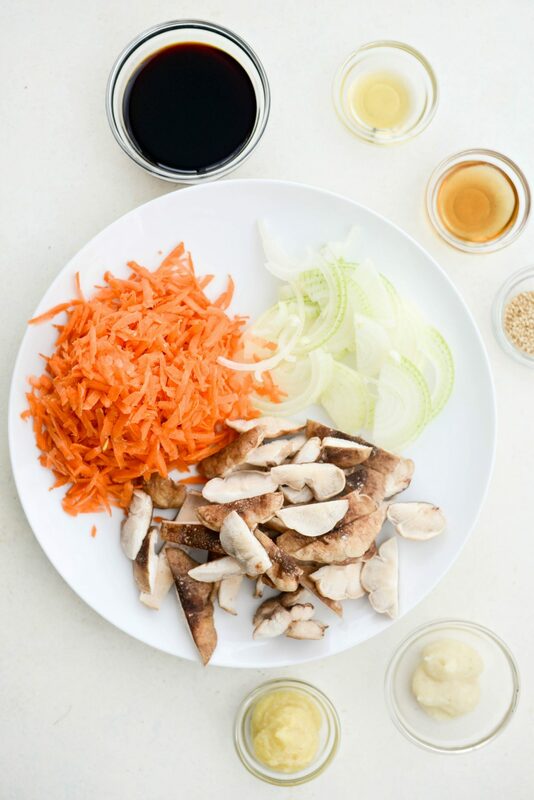 The cabbage and bok choy only take a minute to wilt, so having the sauce ingredients remeasured is a good idea. 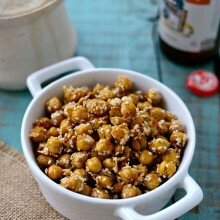 Lastly, sprinkle with sesame seeds and serve! Then, to garnish, top with lots of sliced green onions, more sesame seeds and red pepper flakes or sambal oelek if you want some heat. 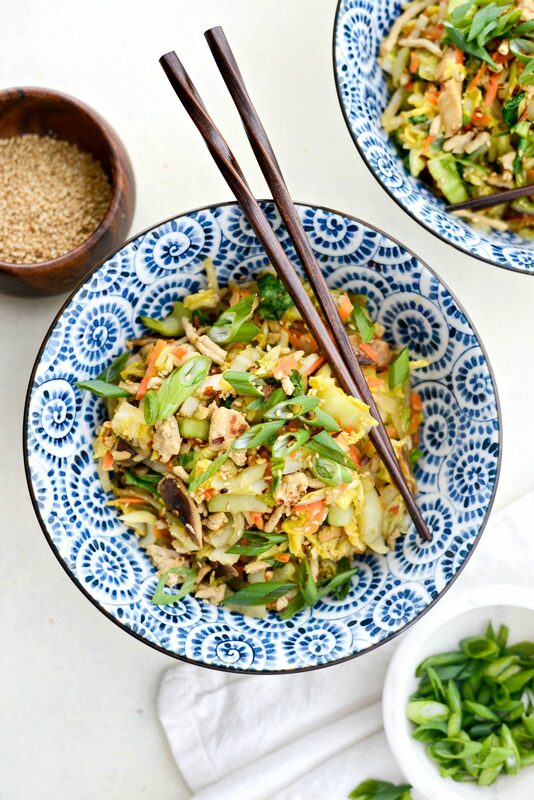 I promise, you’re going to love this fresh and heathy chicken egg roll bowls! 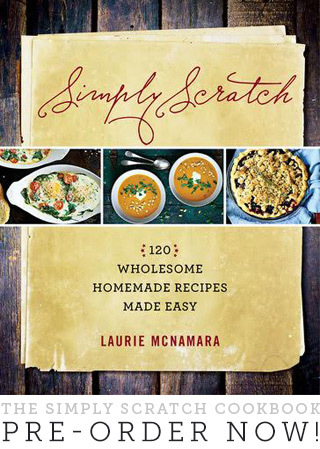 Because not only is it delicious but it’s so easy too. 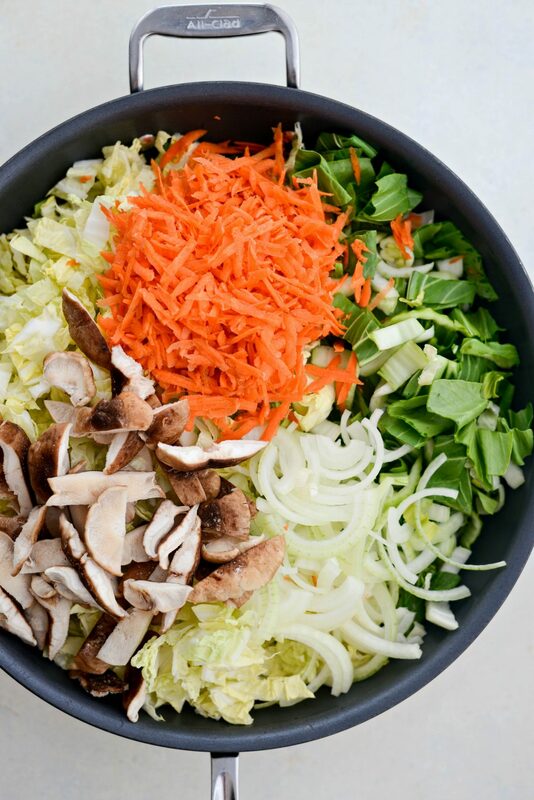 Eat it with chop sticks or a fork, either way it’s delicious! Enjoy! 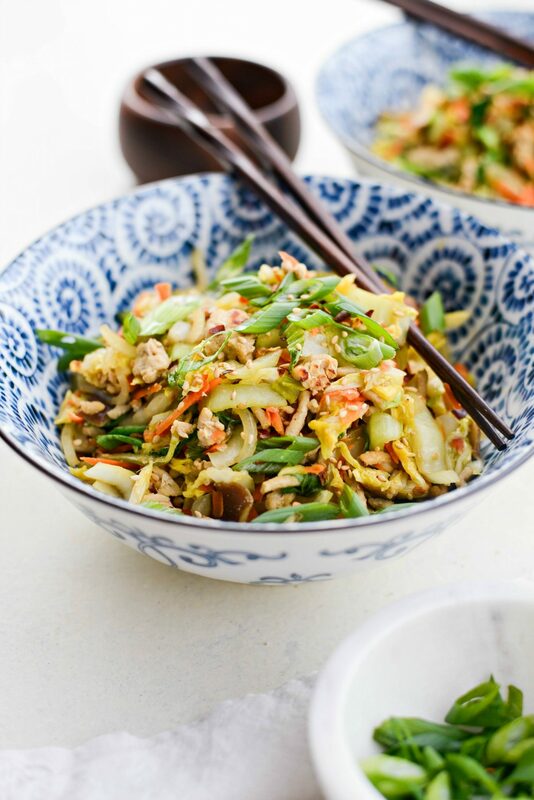 And if you give this Chicken Egg Roll Bowl recipe a try, let me know! Snap a photo and tag me on twitter or instagram! 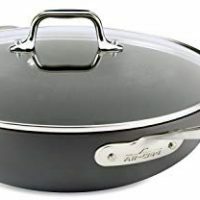 Spray a large wok or chefs pan with olive oil and preheat on high. Once hot add in the chicken. 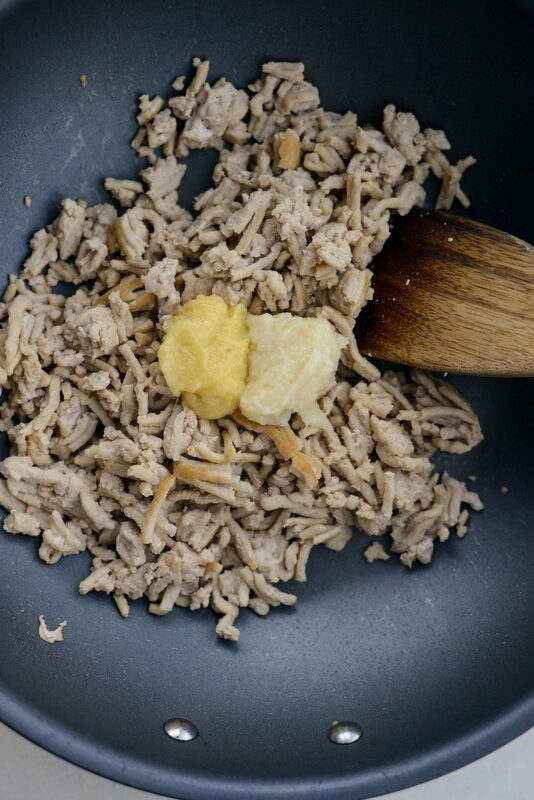 Use a wooden spatula to break up the chicken into small crumbles and cook until no longer pink. About 6 to 8 minutes. Add in the grated ginger and garlic, stir and cook 1 minute. 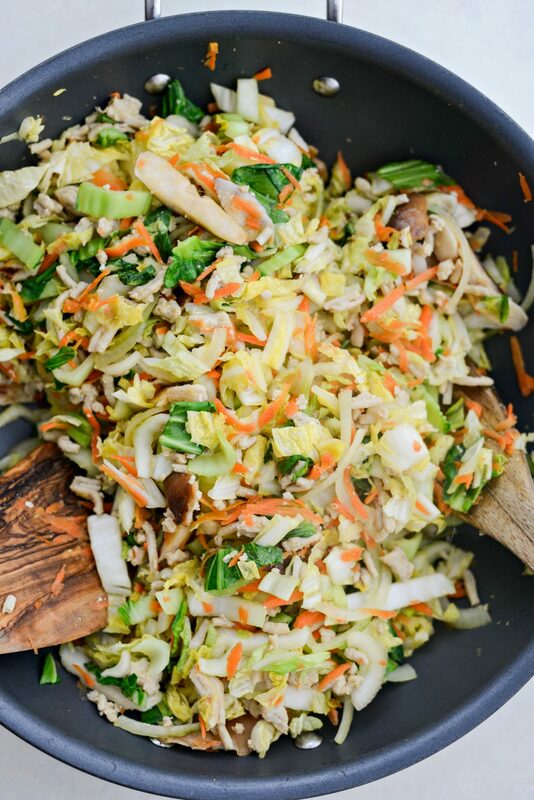 Then add in cabbage, bok choy, onion, carrot and mushrooms. Toss carefully to combine. Pour in the tamari, rice wine, sesame oil and toasted sesame seeds. 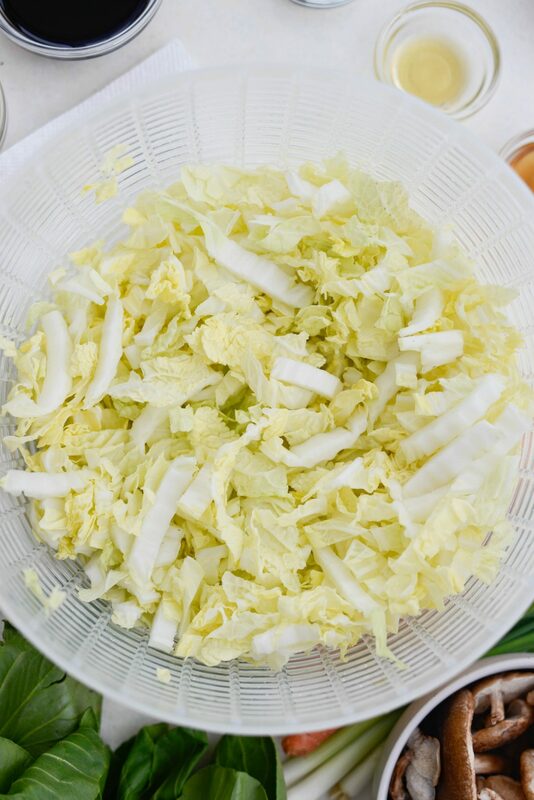 Toss frequently until the cabbage and bok choy start to wilt. 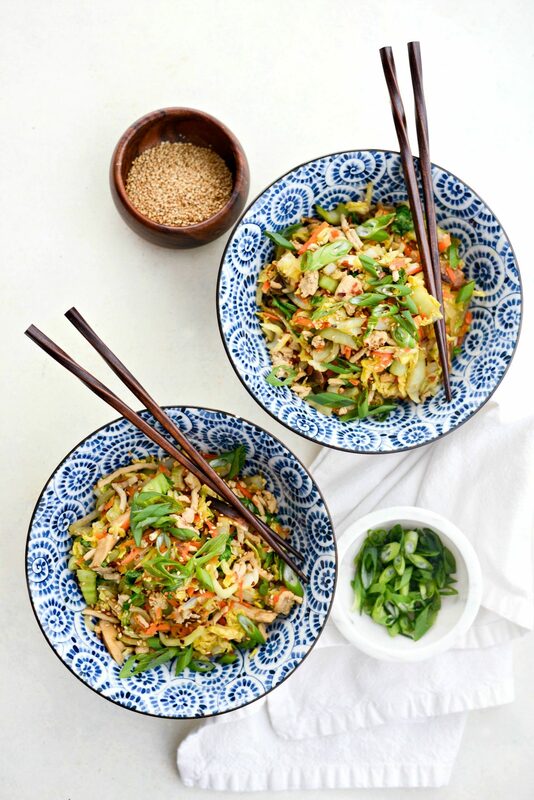 Immediately remove and garnish with green onions and more toasted sesame seeds. This looks bright and fresh and just right for February! 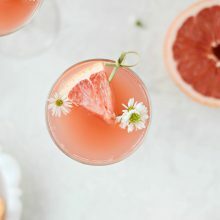 Gorgeous photos and really rockin’ ingredients. 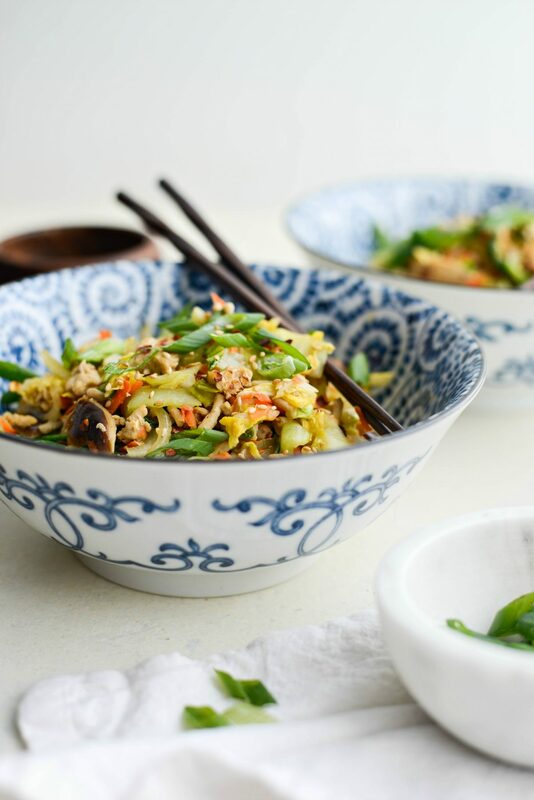 This bowl of goodness will keep supper healthy and supremely satisfying. You’re checking ALL the boxes! 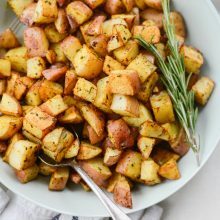 Thanks for another yummy recipe! Whole family loved it. I’m so glad to hear it, Jen! 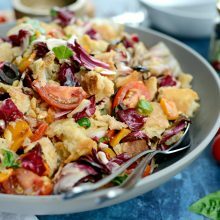 Thanks for taking the time to make this recipe and leave a review! I really liked the addition of the shittake mushrooms to this meal. Easy to make, too.